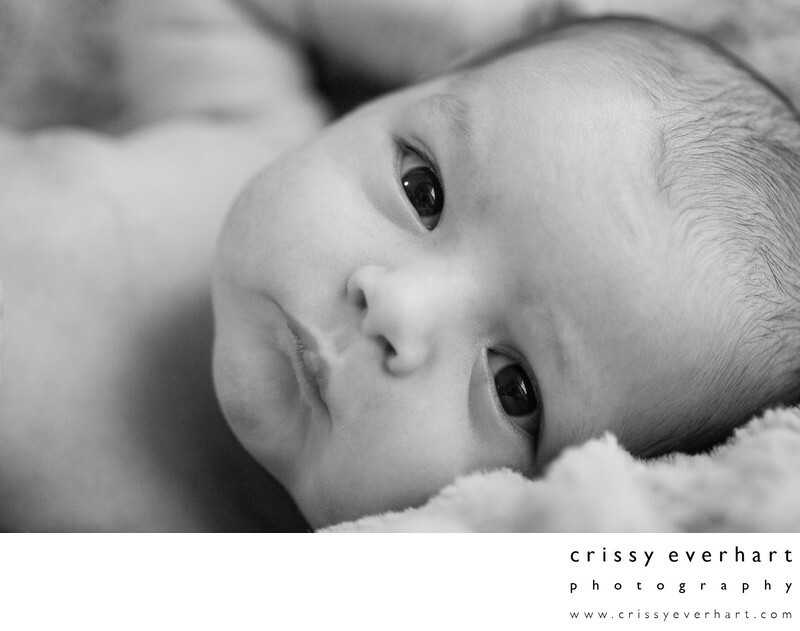 6 day old baby boy, close-up of his face with an alert expression, in black and white. Taken in his home in January on a cold snowy day! He was kept nice and warm with heaters, blankets, and snuggles.